My neighbor makes gorgeous DIY Pottery Barn Inspired Furniture and I’m in awe everytime I go over to her house. It is all so beautiful and the fact that she made it and didn’t buy it is inspiring. 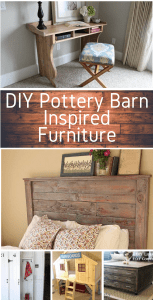 Here are some DIY Pottery Barn Inspired Furniture. I hope you find that perfect piece that is missing from your house. 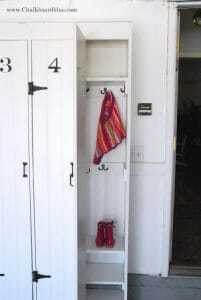 These Pottery Barn inspired lockers are really cool. An easy ways for your kids to keep what they need to leave the house contained and all in one place. 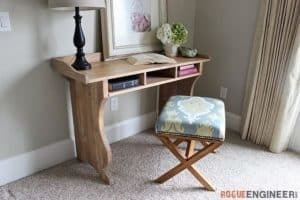 This beautiful desk is from the Rogue Engineer. It’s gorgeous. This might just be the desk you need to build. 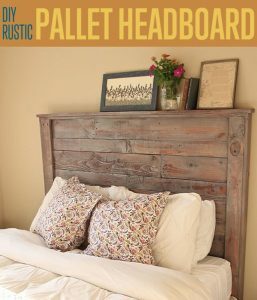 If your bed needs a new headboard, this rustic pallet headboard from diyprojects is beautiful! Sometimes it’s hard to figure out what you want in a media center. 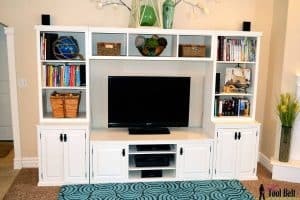 This Pottery Barn inspired DIY Media Center has so much storage. You can now store kid toys in the family, but they are hidden so it doesn’t look like a toy room. 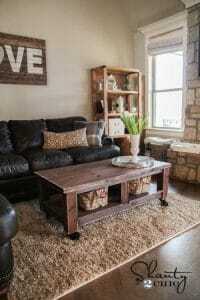 You can find this super cool Pottery Barn Inspired Coffee Table at Shanty 2 Chic. This bedframe is gorgeous! 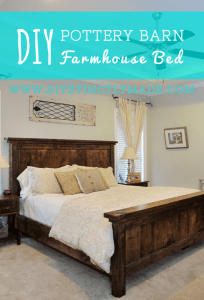 The couple who built it made it custom for the size of their bed – adding some inches onto the baseboard so it would be higher than their sheets. You can see how they made this at Diystinctly Made. 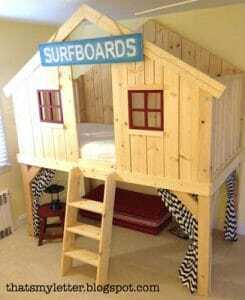 I could see kids having so much fun with this as their bed. During the day it would be a great place to hideout and read. You can find this Pottery Barn Inspired Fort Clubhouse Bed at That’s My Letter. 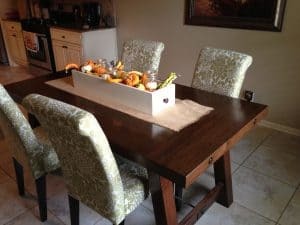 Here is a Pottery Barn Benchwright Farmhouse inspired dining table. Just like everything else Ana White creates, it turned out wonderful. You can find instructions on her blog about how to build it. This Pottery Barn Knockoff table is gorgeous! I love the long bench on one side. 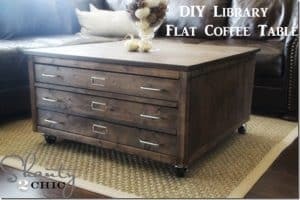 Here’s another Pottery Barn Inspired Coffee Table. A bit different than the librarian table above. My neighbor has a very similar table to this one that she made. The table looks great in her house. If you make any of these, let me know if the comments below! I’d love to see how it turned out.